What is the Customer Service Project? 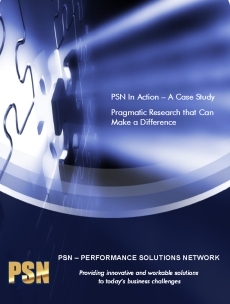 Since June, 2009, PSN has been engaged in the "Customer Service Project", a two-pronged study that examines barriers people with disabilities experience when attempting to access everyday goods and services and quality customer service. The project includes both a survey and Focus Groups. This survey looks at attitudinal, information and communications, architectural and physical, as well as policy barriers that prevent people from accessing goods and services and from receiving quality customer service. The Customer Service Survey also seeks ideas and suggestions on what can be done to make customer service experiences better. Focus Groups held in Toronto, and other communities in Ontario including in Ottawa, Cornwall, Barrie, Hamilton and Windsor have provided opportunities for individuals to elaborate on their experiences and to further communicate stories, issues and suggestions. Why a Customer Service Project? A desire to engage in an inclusive approach for identifying barriers, service needs and priorities. This approach will provide a voice to people with disabilities who want to contribute and who traditionally have not been engaged. A desire to better understand the range of barriers, issues, concerns and needs of people that people with diverse disabilities experience and the frequency with which they experience barriers. A desire to better understand the commonalities and differences in barriers, experiences and needs of people with different disabilities. A desire to show how and why inclusion makes economic, social and legal sense.